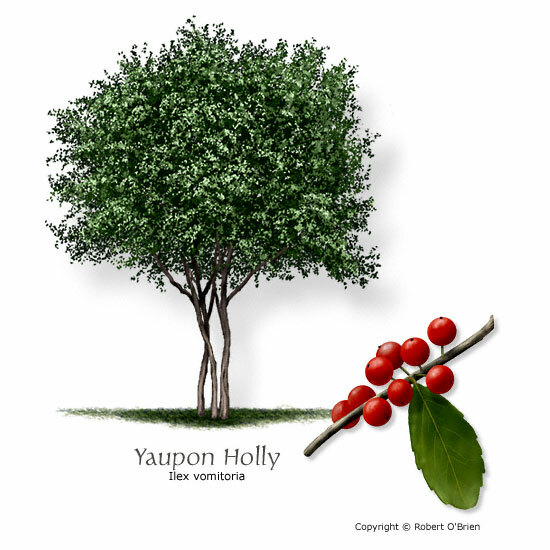 Features: Dark green, evergreen leaves and red berries on female plants. Comments: Tolerates a wide range of conditions. Problems: Requires pruning to develop one or more trunks.